Offering above average range and sound clarity at an affordable price, the Sony Baby Call monitor is the winner of our Best Value award. It delivers great bang for the buck. It's easy to use, well built, and bargain priced. The downside is that this monitor is more susceptible to interference than more expensive monitors, but all the monitors under $50 had challenges with interference in our tests. This is a pretty basic monitor in terms of features, but it included the ones we feel are most critical. We think this is a terrific monitor, but buy it only at a retailer with a liberal return policy: if you have range or interference issues in your home, return it and buy a higher end monitor. Read on for the full details. The Sony BabyCall monitor has been discontinued. As in most things, the lower-cost baby monitor products are the most popular. But, user-reviews of low-cost baby monitors are filled with parents complaining about poor range and static. These fears were validated in our tests. 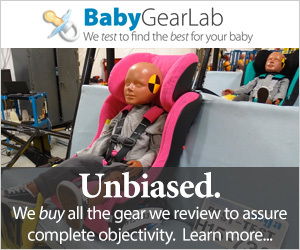 Unfortunately, most of the baby monitors selling for less than $50 had very poor performance in our range and/or sound clarity. The lower cost monitors were also much more susceptible to interference from other electronic devices. We found that range, clarity, and interference are all inter-related. Some monitors can still maintain a communication link at long range but do so with sound clarity poisoned with a sleep-robbing dose of static. The Sony BabyCall was the exception to the rule, and turned in very solid scores in our tests, proving that being inexpensive does mean lackluster performance. In our range and clarity tests, the Sony BabyCall flexed some muscle. While it's range was only about the middle of the pack, it did so with much better sound clarity than it's similarly priced competition. While most of the low-cost monitors greeted increasing range with static noise that rapidly became unacceptable as distance increased (or more indoor walls needed to be passed-thru), the Sony BabyCall offered excellent sound clarity through most of it's range. Sony also includes a very helpful sound activation feature, which we think is key to allowing you to get more sleep. The way it works is via a simple switch that lets you toggle between Off/On/Voice Activated. In practice this is very helpful, since you can turn the monitor to "On" and hear everything that is going on in baby's room including whatever background noise and hiss is included. You adjust the volume to where you want it (usually we set it loud), then flip the switch to "Voice Activated" and the monitor goes dead quiet until baby cries or any noise above the background level occurs in the room. This means you can go to sleep, without being kept awake by static hiss or background sounds, knowing that if baby makes noise the monitor will kicks on and amplifies the sounds in baby's room. It seems like a simple thing, and it is, but the impact on your sleep-deprived self can be significant. More expensive monitors like the Philips AVENT DECT or Angelcare Deluxe go one step further an allow you to control the Sound Activation sensitivity level, but what Sony does is effective the feature worked well in our tests. Volume is sometimes an issue for parents, especially if the room you use the baby monitor in has a lot of background noise, such as from TV, washing machines, or air-conditioning systems. If this is an issue for you, then the Sony is going to be your very best option. The Sony was a star in the volume department, amplifying the sounds of baby significantly louder than any other monitor we tested. Sony offers both one parent and two parent version of the BabyCall. We think this is a plus, and we love the convenience of dedicating one parent unit to the master bedroom and using the 2nd as the roving unit. It makes your life simpler to not have to haul the monitor around, and Sony makes the option very affordable. The Sony BabyCall, along with most of the other low-cost analog monitors we tested, is susceptible to interference from other electronic devices. Interference could come from monitors in your neighbor's home, or from wireless phones, WiFi routers, etc inside your home. In an environment without interfering devices, the Sony works like a charm. But, if there is an interference issue in your home then range plummets to a fraction of the normal distance and static hiss becomes a major problem. If interference is present, we found that switching the Sony's channels (using little switches on the bottom of the monitor) was unsuccessful as a technique to work-around the problem. The Sony BabyCall is a terrific monitor, offering a lot of bang for the buck. But the real risk of interference issues casts a cloud of doubt over an otherwise stellar offering. In looking at user-reviews for the Sony BabyCall there is an interesting pattern. Some parents report the monitor works great and offered a very good range. Others say range was terrible and could barely reach the room next door to the baby. Why the differing perspectives? We believe that the parents who complained of poor were likely experiencing interference issues. We were able to duplicate the same results they had with interference devices, yet above average range if the source of interference was eliminated. If you find range inadequate in your home or experience poor sound clarity, return the monitor immediately and buy one of the higher end monitors that offer better range and increased immunity to interference. Poor range and/or a lot of background hiss is not something you should try to suffer through. You will be using your monitor as a key tool day and night for years. Get one that works in your home. With that disclaimer stated, we feel very comfortable recommending the Sony BabyCall, winner of our Best Value award for baby monitors.